Found in the Ridge & Valley and Highland areas. 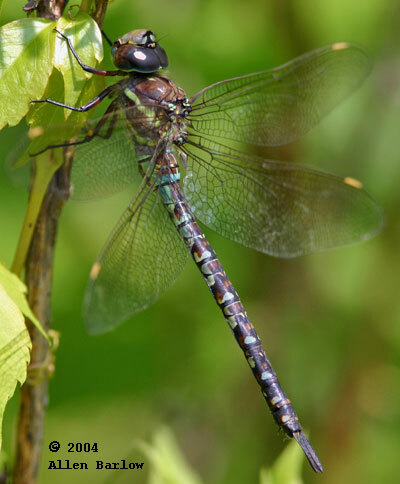 An early darner, it prefers fishless ponds and lakes with water lilies and other emergent vegetation. 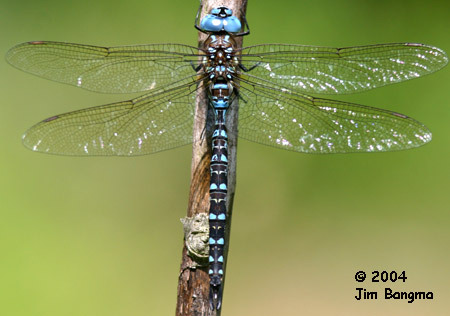 Males have cerulean blue eyes, blue thoracic stripes and blue abdominal spots. 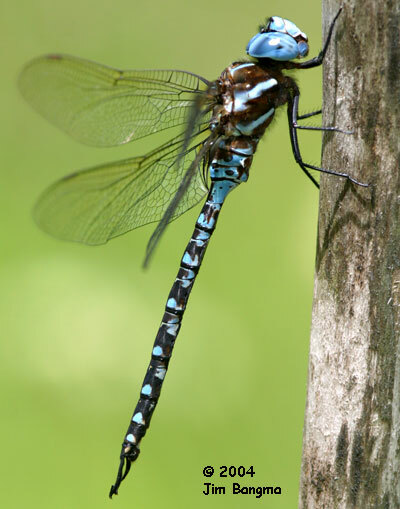 Females may have green on the thorax but usually retain the blue eyes. 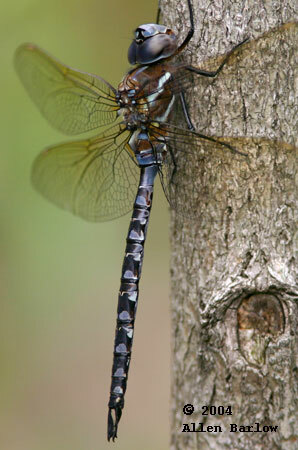 Until recently, considered part of the Mosaic Darners (Genus Aeshna) but recent studies have shown that this and several closely related darners actually belong in a separate genus.